Analog mixer with digital capabilities. 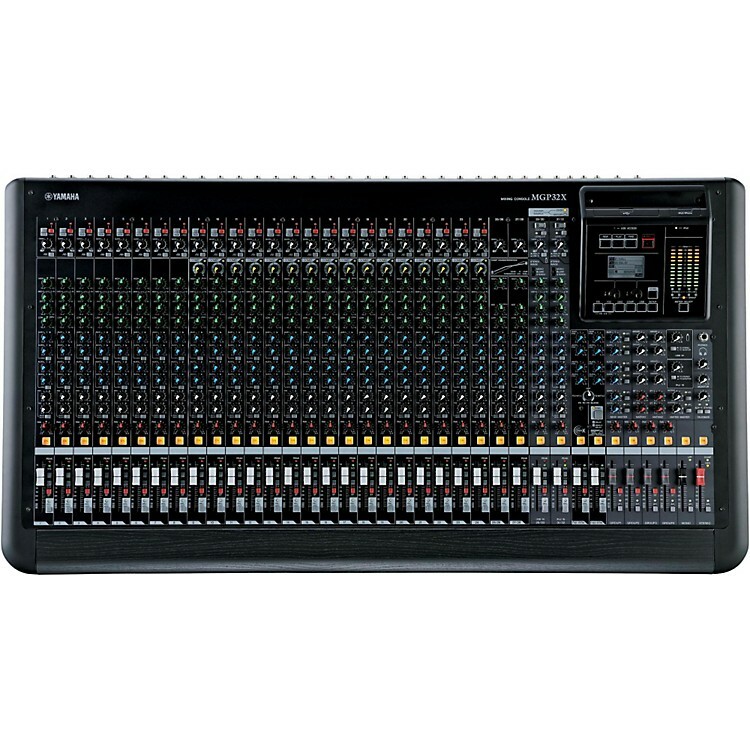 The MGP32X is a 32-channel mixing console with iPhone/iPod connectivity, compression and digital effects. This mixer is appropriate to a wide range of professional applications from portable P.A. to fixed installation. The MGP32X features: 24 Mic Inputs with 48V Phantom Power and HPF per Channel, 32 Line Inputs (24 mono and 4 stereo), 6 AUX Sends + 2 FX Sends, 4 GROUP Buses + ST Bus, 2 Matrix out, and 1 Mono out. Great sounding microphone preamps, detailed EQ, quality digital effects and broad digital connectivity. Familiar controls with USB and iOS connectivity. Order soon. Dimensions, W x H x D: 40.4" x 6.7" x 22.2"